Adrian Molina is founder of the Warrior Flow® school of yoga, and has over 15,000 hours of classroom teaching experience in NYC and Miami. He is renowned for the sophistication and depth of his teaching style and the degree of mindfulness, compassion and precision he brings to asana practice. 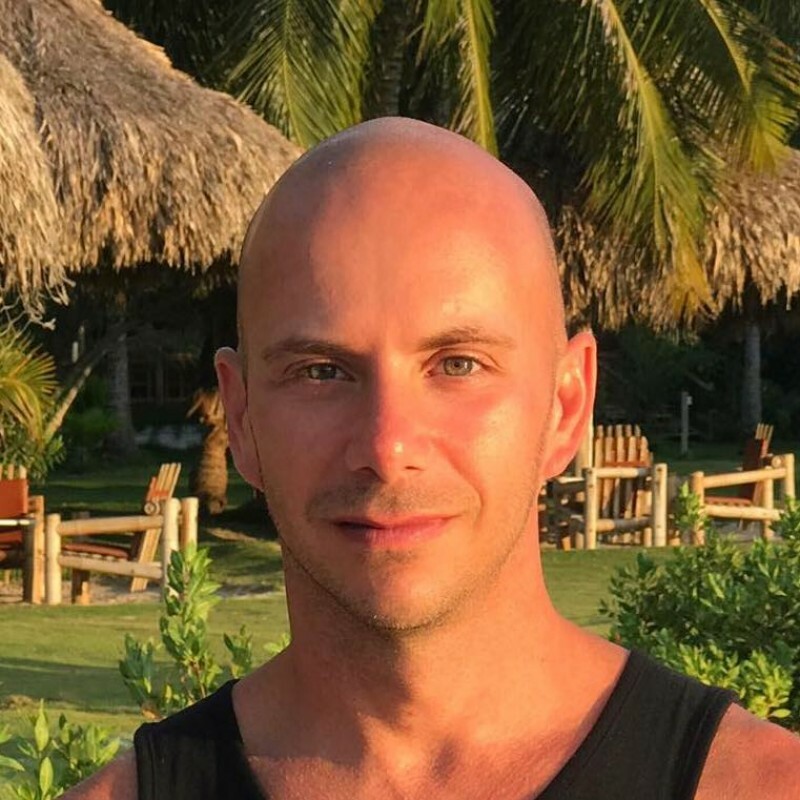 Adrian is also a writer, massage therapist, Pilates instructor, Thai Massage practitioner, Reiki master, and a Kriya Yoga meditation practitioner in the lineage of Paramahansa Yogananda. Through Warrior Flow Adrian leads classes, workshops, teacher trainings, and international yoga and meditation retreats. Grab your block and join Warrior Flow's Adrian Molina for a creative, full-body vinyasa flow. Starting with a gentle hip opener using blocks, explore cat cow variations followed by creative sun salutations. Intensify navasana using your block, then try pigeon pose variations with twist, parivrttta janu sirsasana, supported bridge, and hip flexor release with block. A whole body attunement. Enjoy a whole body flow that includes pranayama (breath exercises), cat cow variations, twisting lunges, sun salutations including twists and hip openers, goddess pose, creative flows with thigh stretches, triangle, half moon variation, double pigeon, and a brief meditation at the end. Who says we can't have everything in one class? Restorative postures, breath awareness, Mandala salutations, and vinyasa flow, with progressions and modifications for everyone. In this flow we target every single part of the body and end in a sweet savasana.